Whilst we plan to build up an impressive online collection of articles on our blog which will include videos, interviews and guest posts on a bewildering array of textile-related subjects, we would like to introduce our “real” physical textile library at the Flax Mill. One room in the 250 year old mill cottage (formerly the living – quarter of the mill owner) has been set aside to hold Marion Baur’s unique collection of literature on textiles and textile manufacturing. Over 1 000 books and magazines cover just about every aspect of the industry past and present: Weaving, dyeing, flax cultivation and –processing, history of the linen – industry – you name it, it’s in there. “The Textile Industry” of 1911 looks quite up to date beside the latest edition of “the Journal” of spinners, weavers and dyers. Some real gems include the complete collection of the once world-famous “Castleisland” brand’s sample – books. The 28 books – each of them 60 cm high weigh about ¾ of a ton. Or the dyers journals from start (1918) to finish, the amazing research by “Linra” (Linen Research Association) – to name but few. It’s the ambition of the makers of this internet page to list and publish here every book, magazine, ledger etc.…a work in progress, needless to tell you. We would like to invite all our friends, valued customers, fellow textile – workers and students of fashion, textile – science etc. to come and use the library. There is nothing comparable on this island and indeed further afield. 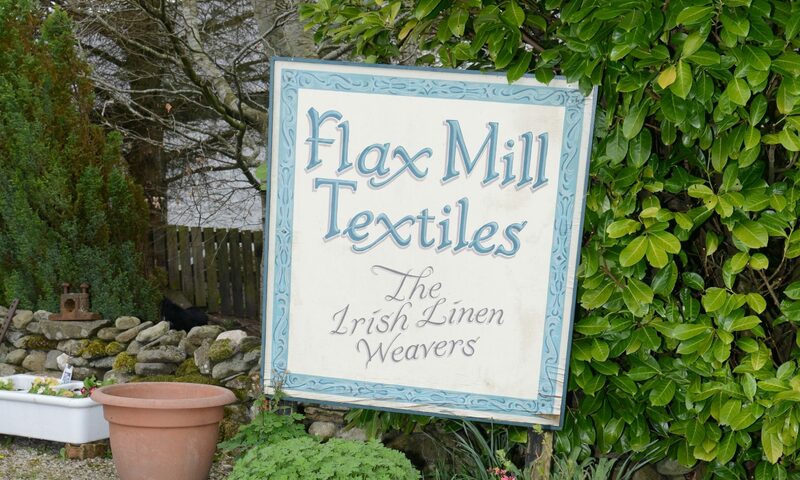 We won’t charge you to browse and read at Flax – Mill, the peaceful ambience of the old cottage and the gardens behind it, lend themselves to studying. To avoid disappointment we want to state: This is a private collection and books cannot be borrowed from it.